Come on, Moms, admit it – the holidays are stressful!! Well, just in time for the start of the holiday rush, the Bad Moms are on their way back to theaters everywhere with a brand new story that will make for the perfect girls day or night out with all of your favorite Mom friends! Did you see the original Bad Moms movie? I don’t know about you, but that movie literally had me laughing out loud with tears steaming down my face! I haven’t laughed that hard at a movie in a long, long time. I am looking forward to kicking back and enjoying this one with my girlfriends for sure! The newest flick, A Bad Moms Christmas opens in theaters everywhere on November 3rd! 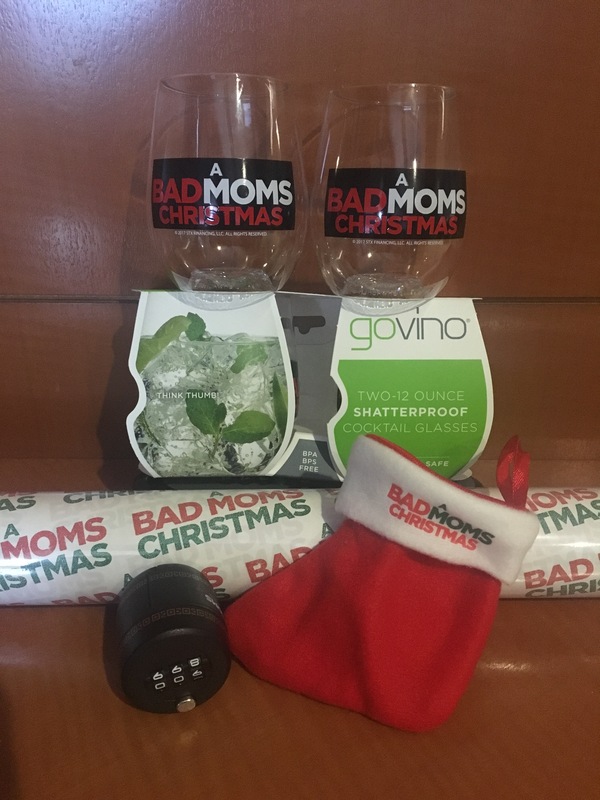 Lucky for you – This Monday evening there is going to be a very special exclusive invite only Bad Moms Christmas Premiere Screening at the United Artist Riverview in Philadelphia and I have 5 sets of (2 tickets each) to give away to 5 very lucky Delco Deal Diva Readers! Each of these 5 readers will not only receive reserved seating for the movie for themself and a friend, but they will also receive a special prize pack at the premiere! Readers may reserve tickets to the screening on a first come, first served basis by heading to this link here: http://stxtickets.com/BadMomsDelco Use code: BadMomsDelco to reserve. Unlike the reserved tickets being given away below in the giveaway, please note that these tickets are not guaranteed seats and will be honored on a first come, first served basis only, so I suggest arriving as early as possible to beat the lines and the crowds. For your chance to win two reserved seats to this Monday’s screening at 7:30 PM at United Artists Riverview in Philadelphia (5 winners will be selected to win 2 seats each), simply enter via the easy Rafflecopter form below. Winners will be selected on Saturday and notified no later than Sunday morning. Please be sure to check your email on Sunday as this giveaway has a quick turnover with the movie showing on Monday! Good Luck! My Best Bad Mom moment was taking my daughter to the bar for her 21st birthday and watched while she drank every drink that was printed on her t-shirt! If I win, I would love to take my daughter because she deserves it and I would love to have a movie night with just the two of us! If I win, I plan to take Kelly with me. Worst Bad Mom moment was forgetting it was an early day at school and my kid had to call me because I wasn’t there on time. Id invite my sister in law! We could both use a toddler break and a good laugh!